Justine and Dan are absolutely meant for each other. 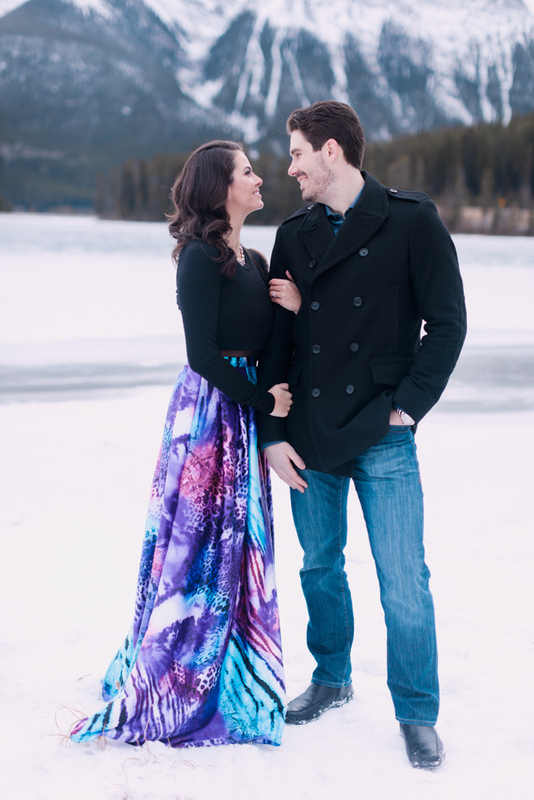 When we met last summer, I was blown away at how these two can communicate just by looking at each other! They have an amazing sense of humor and are incredibly fun to be around. 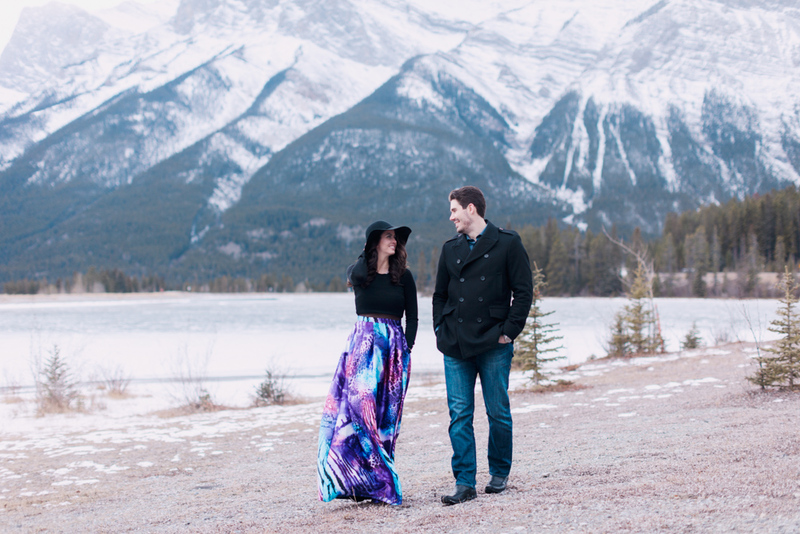 For their engagement session, we took a stroll in the mountains around Canmore. 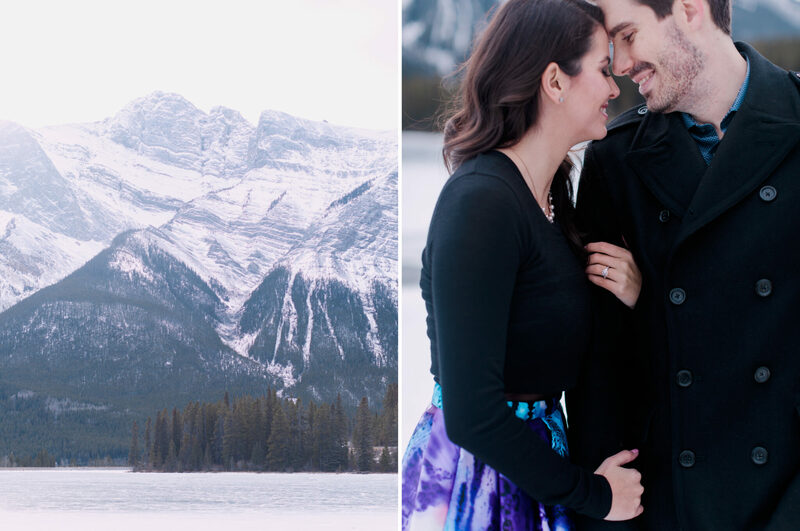 The majesty of the mountains and the dusting of snow along with Christmas coming up made for some very romantic photos. 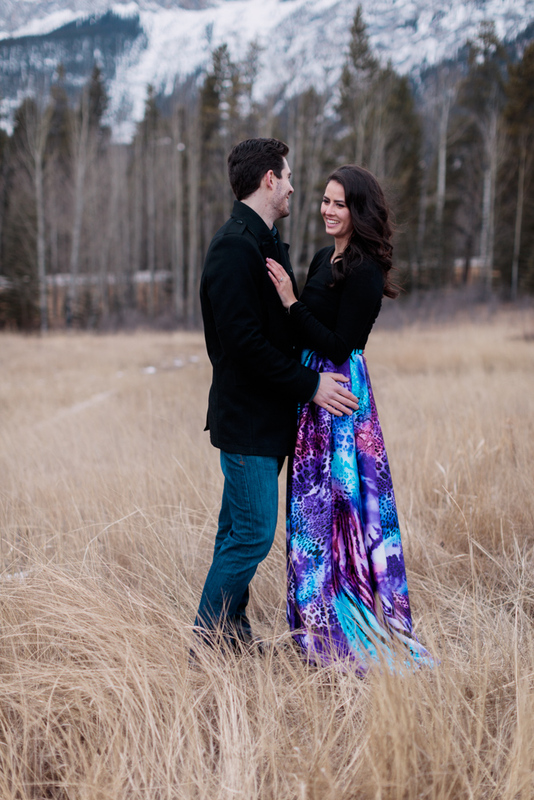 I’m so excited to be their wedding photographer and can’t wait for their big day! 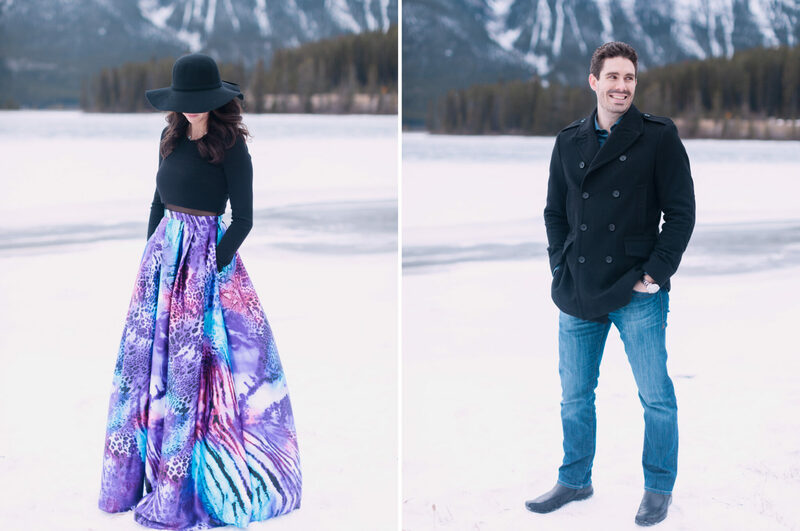 Read more about Justine and Dan below! Dan and I met in our high school library in January 2007. We had mutual friends but had never met each other until then. After a few weeks of playful banter and chatting, we realized we both had spares every Friday afternoon and you would always find us together at that time. 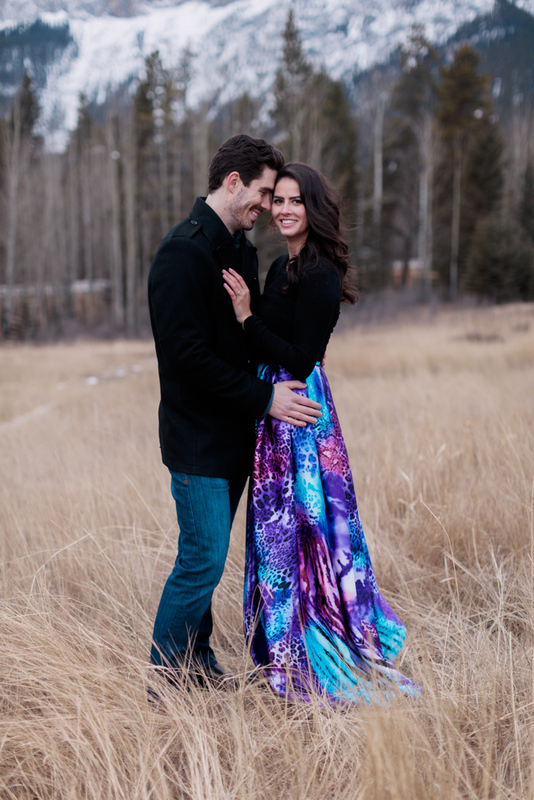 We had an instant chemistry and very similar personalities and found it was super easy to connect with one another. It only took a few weeks for Dan to invite me over for dinner and to meet his family, where I was instantly welcomed. It wasn’t long after that, that Dan asked me to be his date to graduation. We have been inseparable since! Dan had started his proposal planning process in April of 2015. We had just purchased our first home together and after a bunch of renovations, I was not expecting us to get engaged any time soon. I was very wrong!! 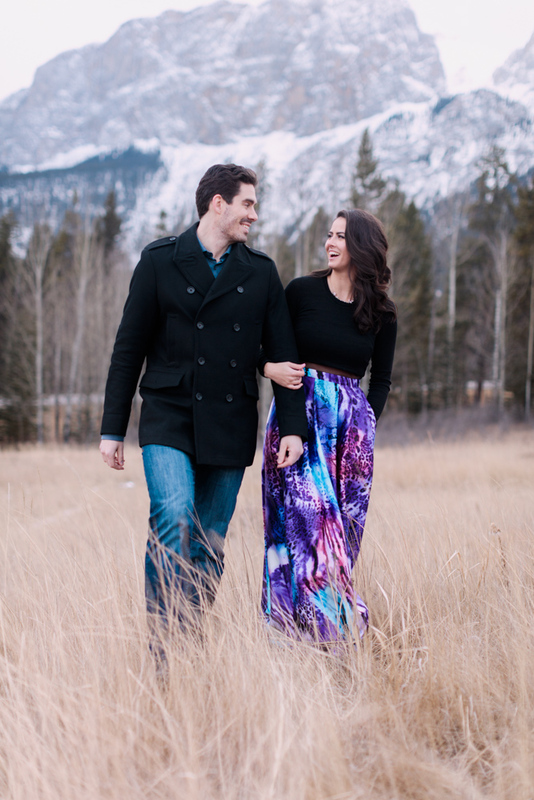 Sometime in the beginning of September I suggested that Dan and I should have a little weekend getaway in Banff. 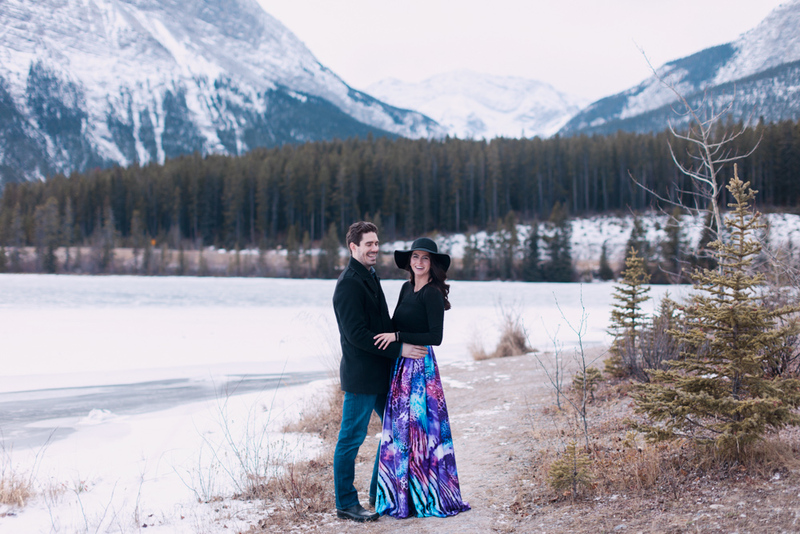 This worked out perfectly for Dan because he had already booked the Banff Springs Hotel and was trying to figure out a way to bring up a spontaneous trip without me getting suspicious. The morning that we were leaving for Banff I was dawdling around and being oblivious to how antsy Dan was being. As I knew check in wasn’t until 4:00pm I thought we had lots of time to pack and get ready and slowly make our way out. Little did I know Dan had planned a helicopter tour with a stopover on top of a mountain where he was planning to propose. He was on the phone with the helicopter company all morning trying to see if the temperamental Alberta weather was going to cooperate. Unfortunately it did not and he had to go to plan B. We drove straight to the hotel and went for a walk to the Bow Falls because our room wasn’t ready (again working right into his plans). 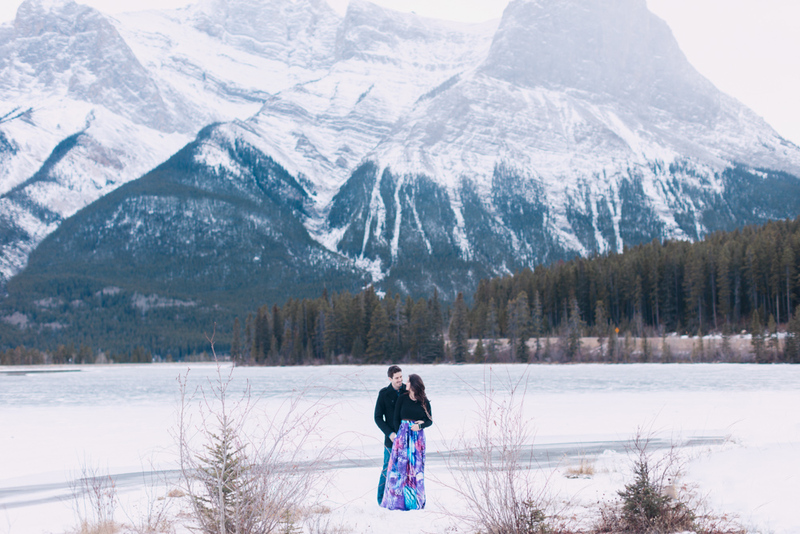 As we walked towards the falls I was a little chilly so Dan stopped by this beautiful spot overlooking the Bow River and the mountains to give me a hug. As he was hugging me he started saying these super sweet things (that I do not remember, and luckily he wrote down for me), he got down on one knee and asked, “Will you marry me?” to which I enthusiastically said “YES!!!”. 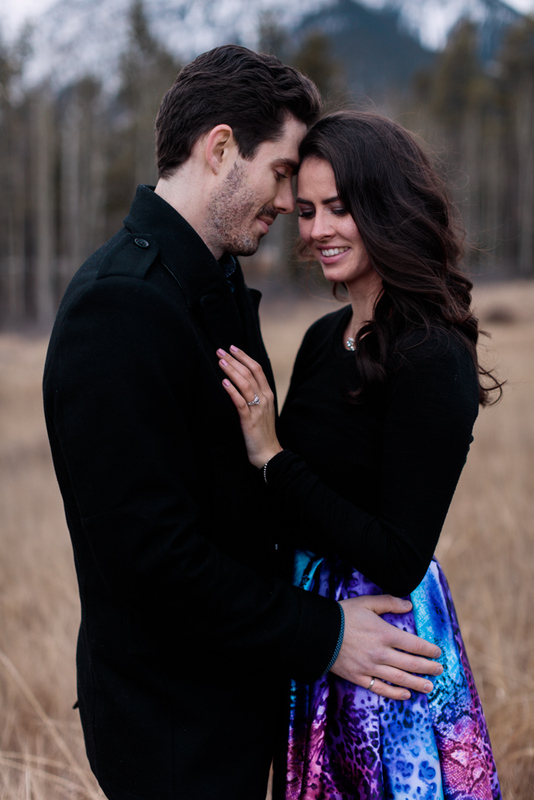 We are super excited to plan our wedding and spend the rest of our lives together!